Episode Summary: In this week’s episode, we feature an in-person interview from Facebook’s headquarters with Hussein Mehanna, director of engineering of the Core Machine Learning group. Mehanna and I talk in-depth about the topic of personalization, touching on the pros and cons, how it works at Facebook, and how his team is working to overcome technological barriers to implement personalization in a way that improves the customer experience. This interview was recorded in their famous “Building 20,” which houses thousands of Facebook artificial intelligence employees and developers. Recognition in Brief: Hussein Mehanna joined Facebook in 2012 as the original developer on the Ads Machine Learning platform; this quickly developed into a Facebook wide platform serving more than 30+ teams. Prior to Facebook, Mehanna worked at Microsoft on Search query alterations and suggestions in Bing and on communication technologies in Lync. He holds a masters degree in Speech Recognition from the University of Cambridge, UK, where he worked on noise robustness modeling. This interview is a condensed version of the full audio, which is available in the links above. (0:01) Personalization, people think it’s ‘hey I like this feed, I like this band’, that’s why my feed is the way it is, what else goes into that? Hussein Mehanna: When you think about it, we have a billion users logging into Facebook every day, and every minute there’s millions of likes and hundreds of thousands of photos being loaded; what this ends up in is an information explosion, what ends up happening, on average, is every user has 1,500 new stories per day. This is an overwhelming amount of content and it’s way beyond just the bands you like or just a particular person; people are sharing a lot of information all day long, they’re generating content about themselves, about their trips, their parents, their kids, and so there’ just a lot of information. Facebook today in terms of personalization, it leverages a lot of the signals, that maybe you’ve interacted with a particular type of content before, or your friends have interacted with, and we know you guys are close, and so we try to bump those up. The challenge, however, is doing this at scale, doing this for a billion users for 1,500 stories every day is just a humongous thing…obviously social signals are important and strong, but we try to develop algorithms that look beyond that. As an example, some of our future direction is trying to understand essentially what is it that you like in the post, like if you’ve interacted with political posts before during an election season, then it make sense that we show you more of that in that period. I can’t really reveal a lot of what goes on at Facebook in terms of the algorithms, but what I can say is that personalization as problem in itself is very difficult. Sometimes people will let you know is that if you interact with a system, and you feel that system really knows you well, sometimes people may feel like this is uncomfortable. What we try to do at Facebook is, that the moment you feel that a personalized system is uncomfortable or creepy, then that’s not a personalized system. The system needs to be transparent, it needs to be open, it needs to be a smooth experience, and that’s what we try to do at Facebook as much as possible. (3:43) Clearly, Facebook artificial intelligence initiatives are moving into deeper kinds of personalization… what are other areas that you are excited about innovating in – areas that would make Facebook a more individual experience? HM: So I think a lot of the personalization technologies today sort of rely on some sort of crowdsourcing – this is very similar to technologies that are used in Amazon where you buy a product…they all drive from the same sort of signs, where people are attracted to a particular type of item, and then you suggest items that people generally buy together…that is really a limitation in the technologies that exist day. It works really well, because there’s a very high chance since A and B have been bought together that you’d also need B…this works really well for mass produced products, but it doesn’t really work for personalized items. I’m talking right now about the science, I’m actually kind of detaching myself from Facebook and trying to give you the science perspective…generally, it’s easier to explain when you’re talking about products you can buy, but in terms of the areas of the future of personalization, there’s a lot more to do…the rise of deep learning will help us build better systems that understand human interests better, and also as they change with time. This is important at Facebook, so we can give users the ability of going through these stories in the most efficient manner. We really want to understand the content from the individual’s perspective. I don’t watch soccer, but a lot of my friends do, and the last thing I really want is to have my News Feed full of soccer; however, I have stumbled across a video for Messi, which is this very famous player, it was a video about clips of him playing soccer and doing some amazing tackles when he was a kid all the way until he became a professional player, it was about 15 minutes long or more and I watched all of that, the video itself is interesting…so that is a kind of content I would like to see, but I don’t want the system to confuse that with me liking soccer, so what is it in the video that the user likes – that is a very hard problem and we need to solve that. A lot of the deep learning technologies today tend to classic or understand content at a very coarse level, they’re not even there to understand that even though this is a video of soccer activity, it’s a video of this person growing up across many years doing awesome tackles, AI is not there yet. In order to do that, you need significant amounts of data and it’d be very prohibitive at the moment to teach an AI system to understand that type of content. Users generally get easily bored, that’s they reason why focusing on personalization in terms of changing interest…its’ very important. People get easily bored after watching a particular genre of content. For example, I get extremely exhausted after reading something political or unpleasant news, it becomes sort of draining. Now, it’s still important, I still want to read it, but I dont want my News Feed to be jammed with content like that. Ferrying user interest around content…over time is even harder. People tend to interact passively with content. How can you understand that the user is actually delighted? This is not necessarily a machine learning problem, but it’s a problem that affects our ability in understanding a user’s reaction toward the content. The other thing is too many interactions – how can we build the most personalized butler for our Facebook users? 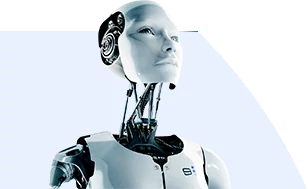 Imagine you have a chatbot that is really aware of your interest and preferences. There’s a lot of opportunities, chatbots are a growing genre of technologies, and this is an area where human beings can interact with them in a multi-modality form with this agent. Imagine yourself calling a call center…where the agent doesn’t really understand you…versus a butler who really knows you well; I think personalization has the ability of changing these two-way interactions between human beings and automated agents to become extremely personalized. We’re aware that people have this reaction, ‘why does this system know so much about me or why does it behave like that’, and therefore it’s very important that we remove that uncomfortable factor and human beings do that; let’s imagine you have a butler that knows you very well, they’ll understand how to remove that uncomfortable feeling and that sort of intelligence is really futuristic in terms of, not only that the system is making smart decisions about what you want…they’re making it in ways that make the human being feel comfortable…I had a friend who let me try his self-driving Tesla, and the fact that you don’t understand what the machine is going to do next, this gets at the same problem – it’s extremely smart, you feel a bit creepy, you don’t trust it because you don’t know what it’s going to do next, so there’s a whole opportunity here to make the system a lot more natural. (13:42) A certain amount of personalization framed in a certain way is weird…that’s an interesting problem to navigate, what have you found sets off those buzzers of ‘I don’t like this’…that really need to be avoided for people to be seamless and not have that icky feeling? HM: This is a nascent theory so I don’t think we know all of the friction points, but I think one big remedy in general is transparency; people what to know why is this system is making this type of recommendation. The second part that’s important is people being in control. Fast forward 50 years from now and say you have this amazing butler that is trying to suggest that you send flowers to your girlfriend, and say you’re having a rough patch with your girlfriend and you don’t want to open this topic again, so you need to be able to tell the system ‘I don’t want to talk about this’, and the system would understand and it would quit, and you could scale this down; let’s assume I’m going on to Facebook and I want to be able to tell Facebook, and we give people this opportunity, but you want to be able to do it in a much more natural way, where you tell this system ‘forget about this topic, or let’s not talk about this topic’…that way it’s not only that it’s transparent, but you also have an extreme amount of control on that agent…personalization is not just about the creep factor, it’s also about the control that you have. (17:01) Is that the degree of control (that we have now), or are there other elements being constructed, how is that control being molded into the future of that experience? HM: The core part here is that as these technologies develop, we need to build these technologies from the get-go with abilities to control them. A lot of these algorithms are not being built in general, even though at Facebook we definitely build them differently, but in general when you look at the science of it, there’s very little research where it embeds in the algorithm itself the ability to forget or stop or control or be transparent, a lot of the machine learning gurus I talk to don’t really value transparency, but this is extremely important for the user’s sake. (20:33) What are the biggest (concerns) for personalization that you guys have to take seriously in terms of things to kind of avoid as you make progress forward? HM: Let’s be very very clear, if people have biases and then inject that into the algorithm, it’s the mistake or the fault of the people trying to do that. In my opinion, there’s an incentive for Facebook not do that, because…we’re talking about your personal choices, what you want and like, and so if we inject our biases, it’s just as if you have a friend who insists on being stone-headed, injecting their own biases, it’s just a very unpleasant relationship and therefore it is not a personalized system. A personalized system needs to adopt to your biases. If you believe in open markets, if a social company does that, then it’s really setting itself up for failure, because if someone else comes and says, ‘I have an okay technology, but it’s not biased’, then everyone’s going to find that a much more pleasurable experience because it’s an unbiased system, it reflects me better. When it comes to personalization, it’s about removing friction points, and injecting biases is just going to add those friction points. If you enjoyed this article about Facebook’s artificial intelligence initiatives, stay tuned to our podcast on iTunes or Soundcloud for our latest AI executive interviews every week.